A question we are frequently asked is when Trailforks will have a mobile app. Well that time has come, with the first release of our mobile app for iOS & Android! 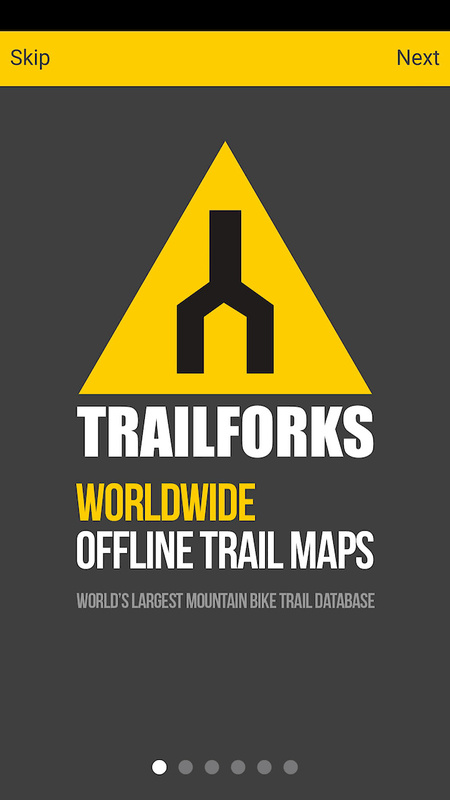 Trailforks publicly launched in Nov 2014 and we wanted to gain a critical mass of trail coverage & usage before focusing on the app. Additionally building block features such as the trail routing, recommended rides & tile servers were needed first. We are avid bikers and have put a lot of thought and testing into what are useful features when out on the trail. We are striving to make the best mountain biking trail map app. This is just the first release of the app, which already has a wide array of features. Trail data is stored offline on your phone, and geo-location features work offline as well. So you can always find your location on the trail map even with no signal. The base Google Maps do require a connection, but they cache extremely well. 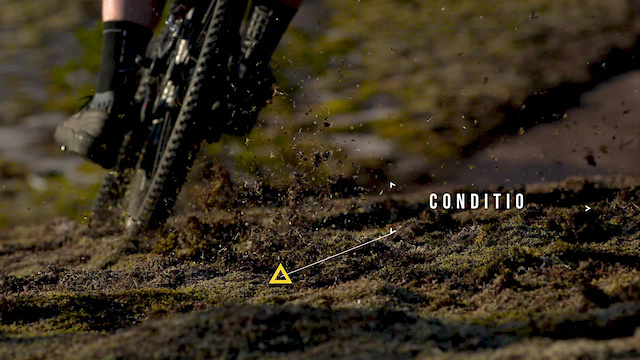 Some features such as viewing trail photos & videos require a data connection. Below is a list of the app's core features. As this is a first release we are open to feedback & suggestions. And of course bug reports! YES! Like the website, the Trailforks app is completely free to install and use. You don't have to pay for the region downloads, or to unlock advanced features. Instead we want to encourage and build the culture of giving small donations to the places you ride throughout the year using our Trail Karma program. 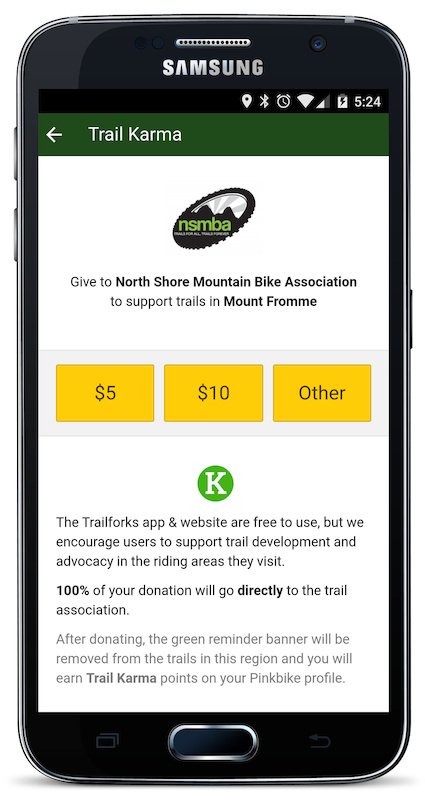 The app does have some banners and buttons encouraging you to donate to support a particular trail or region. Your donation will go directly to the local trail association, Pinkbike/Trailforks takes no cut.